"John and Ardis, thanks for what you wrote. It's helnpig me make a bit of headway with this.It hadn't occurred to me that Gershenson hadn't published. I thought he just wasn't being listed for some reason.So that provides me some room to work out an understanding.I still would have some questions.Is it possible Gershenson was forbidden to publish by the school where he worked? [Or is he just self-censoring?] If the school forbids its teachers to publish then that would be something that would prevent Reuben's father from working there.If he is nor forbidden to publish why wouldn't Gershenson have writings that respect the limits that he himself accepts in his classroom? There seems to be plenty of room for him to provide insight and thought without going into the critical methodology that he still seems to understand and appreciate. Otherwise he wouldn't be able to teach.Since we're dealing with a fictional character here it's a little bit hard to get anywhere. 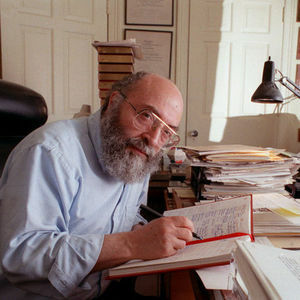 I felt that Chaim Potok failed to provide a necessary transition somehow. He ends the chapter on this sort of solid-sounding line as if he is making such a powerful point but we end up having to make up an explanation as it isn't really clear."